Bio·Bloom™ is a complete liquid organic fertilizer which contains a small amount of naturally occuring minerals such as nitrogen and and enough phosphorous and potassium to ensure exuberant flowering and fruit settings. 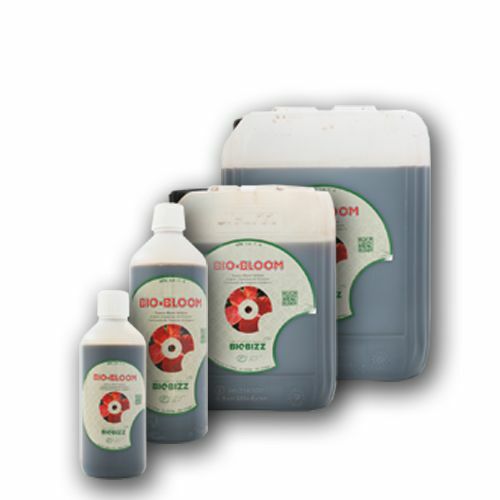 Bio·Bloom™ also works in harmony with the soil to promote flowering and fruit production. Bio·Heaven™ is a specially formulated plant energy booster which contains carefully selected biological enhancers, such as hydrolyzed proteins. Hydrolyzed proteins are the basic building blocks for proteins and enzymes, which are essential for the plants’ structure and metabolism. As a result, Bio·Heaven™ enhances the utilization and translocation of nutrients in fertilizer blends & foliars and boosts the anti-oxidant system of the plant. Top·Max™ is a 100% organic flowering enhancer. Using Top·Max™ can help your garden with three important tasks. First, the nutrients in Top·Max™ can help increase the actual size and weight of clusters of flowers. Second, plants grown with Top·Max™ have a sweet, smooth taste in the finished product. Third, using Top·Max™ can help increase your plants uptake of nutrients. This Product was added to our catalogue on Tuesday 17 December, 2013.